Our preferred service parters are dedicated to helping entrepreneurs and business leaders become more visible, valuable and well-connected in their industry. Through our partners, we offer a wide range of services and solutions to help businesses achieve sustainable growth. SOtech are an award-winning design & technology company. They create web and mobile applications to help small businesses build and develop their digital assets so that they can scale up. Over the last 8 years, they’ve helped over 200 SME’s and entrepreneurs grow through their refined process implemented over 6-12 months. Rethink Press is a specialist publisher working with successful entrepreneurs who need to write and publish a business or self-help book to fast track them to the very top of their industry as a respected expert and key person of influence. Our experienced coaches can help extract and refine your key content and support you through your writing journey. If you have already written your book, we offer full-service publishing, from editing and design through to international online distribution. We produce sophisticated books with eye-catching design for a wide range of authors, including Daniel Priestley, Callum Laing, Jeremy Harbour and Dan Meredith. BookPlan – a full-day, one-to-one workshop to position your book within your core market, refine your title and subtitle, and create a detailed structure for you to start writing from. BookBuddy – an experienced writing coach to support you through your writing journey with scheduling, accountability, reading and feedback. BookSmith – if your time is better spent doing what you do best, a professional writer will create your 30,000-word book from your own content in a series of recorded interviews. Publishing – from edit and cover design through to internal design and typeset, we project manage your entire production, printing and publishing process to the highest standards and with your business needs paramount. Rethink Press is run by Lucy McCarraher and Joe Gregory, who have been publishing successful business and self-help books for fifteen years. Lucy is the author of ten books, an experienced writer and editor and inspirational coach and speaker. Joe’s background in graphic design and marketing makes him one of the UK’s top brand developers and book cover designers. Together they have helped hundreds of entrepreneurs write and publish their books, and transform their businesses and personal brands. Really Bright Media offers dynamic film production to enhance the success of your brand. From concept and scripting, through to shooting, post-production and animation, Really Bright Media makes it easy to add powerful video assets into your business. Clients include Land Securities, The Business of Fashion, Redington, Impellam, Balderton Capital and Dent! LawBite is a revolutionary legal service for SMEs, using technology to provide fast, clear, expert advice and legal document services for at least half the normal cost of a traditional law firm. LawBite’s expert lawyers are easily accessible, insured and regulated so clients can rest assured they’re in capable hands. A free initial 15-minute legal consultation with an expert lawyer. All the legal document templates your business needs through each stage of growth, as well as comprehensive software tools to securely edit, share, e-sign & store your legal documents. Alternative Dispute Resolution (ADR) to cost effectively resolve any disputes you may have, with experts on hand to discuss potential options with you. If you need regular legal support for your company Lawbite also provides access to over 100 legal document templates, free 15 minute lawyer consultations (per matter) and discounted legal advice rates through their monthly pricing plans. Plans start at just £19.50/month +VAT and are tailored to suit the needs of your business. A free 1-week trial is currently available for Lawbite’s £19.50 a month Access plan, allowing you access to three legal document templates of your choice and two free 15 minute lawyer consultations (one per matter). Operating across the UK, USA, Singapore and Australia, Dent have been dubbed by Huffington Post as “The World’s Leading Personal Brand Accelerator”. They have worked with tens of thousands of Business Owners and Entrepreneurs globally to help them achieve business growth and ultimately become Key People of Influence in their industries. Their members include best-selling authors, award-winning companies, Guinness World Record holders, stand-out small businesses, TED speakers and more. Accelerators | Dent Accelerators have been designed to provide business owners and leaders a high-performance environment that incorporates the effective combination of best practices, peer groups of like-minded entrepreneurs, accountability and exclusive resources. Onsite Speaking & Training | Whether it’s for your own growing organisation or for a more expansive community of entrepreneurs, we can arrange for one of our speakers or trainers to host and conduct a workshop or seminar that covers the topic that would best address your audience’s needs. Bespoke Training & Consulting Packages | To cater to the unique needs of your business, Dent can offer a tailor-made package that can include enrolment into one of our accelerators for key members of your team, access to our online resources and/or regular training sessions with one of our mentors. At Deminos, their motto is “people grow profits,” and that’s why they focus on your business and your workforce. With their team of experienced HR professionals, they can provide you Human Resources, Employment Law, and Health & Safety support. They have a national team, so their advisors can come to visit your company no matter where in the UK your workplace is based. Deminos offer bespoke services, and they design it around what your organisation needs. HR Support: You’ll be assigned your own Deminos Advisor for all HR issues, receive HR documents and templates, and 24/7 support through their emergency hotline. Employment Law Advice: The Deminos Legal Team can provide you advice on any employment law issue, tribunal support and management, and tribunal insurance of up to £100,000 in any one tribunal, and up to £1 million per year. Training: Choose from our popular courses, or work closely with the Deminos Training Team to create a bespoke training package to address your team’s needs. Health & Safety: Provide your organisation with health and safety policies, assessments (including general risk, legal compliance and fire safety), and environmental services. KPMG in the UK is a leading provider of professional services, including audit, tax and advisory specialisms – delivering integrated solutions to their clients. They have over 12,000 partners and staff working in over 20 offices in the UK, and they have a truly global mindset thanks to their strong global network of firms. Support in growing your business, by providing you access to the services, advice and networks that a Big Four firm can offer. One-to-one access to your own dedicated KPMG accountant who can assist you with dealing with receipts, bills, invoices and bank reconciliations, so you can focus on the more important things in life. Assay Advisory is a blended advisory and corporate finance/investment banking team. They help clients who are primed and ready to grow – or primed and ready to achieve their legacy and exit. Founded as a partnership of former business owners, operating executives and investment bankers after years of experience building their own companies, Assay Advisory have a deep understanding of how middle market businesses operate, and have advised 3,000 businesses in over 30 countries. They have offices in Australia, Canada, Europe, Hong Kong, Israel, the United Kingdom, and the United States. Assess: The first step. Assay will work with you to assess your current situation to produce an Equity Strategy Plan (ESP) – the roadmap to achieving your legacy. This also aligns the equity legacy with your business vision. Transform: Using our proprietary Equity Reward System (ERS) and PRIME process (Prioritise, Resource, Implement, Measure & Evaluate), they’ll work with you to realise your road map. Through their company sister company Shirlaws, we can provide you and your team with help and advice to provide the vital foundations for sustainable growth. 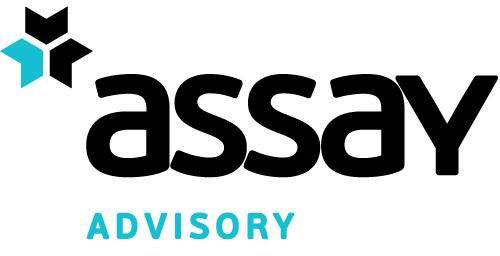 Exit: Assay Advisory can execute the necessary transactions that arise from the equity strategy advice they provide, in partnership with Assay Corporate Finance (Australia, Europe & UK and Israel) and Assay Capital Strategies (Canada & USA), so that your business maximises equity value. BizEquity is democratising business valuation knowledge, and they see it as their mission to help every business owner in the world to answer the most important question they can ever answer: “What’s your business worth?”™ They’ve created the first patented online service to help over 200 million global businesses around the world know their value.